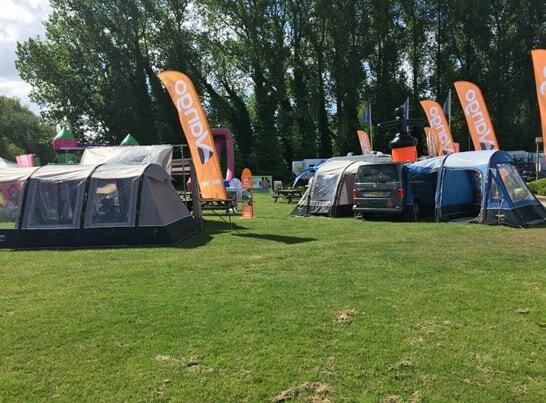 The National Camping and Caravanning Week has been running since 2001 by The Camping and Caravanning Club making this the 17th year of roadshow fun! The event will run across 5 days from the 29th May to the 1st June, and the 3rd June. Throughout the week there will be plenty of FREE activities for all the family to take part in and enjoy, highlighting how social and enjoyable camping really is! Not only are we attending the National Camping and Caravanning event all week, but we are also going to be running our well-known AirBeam® Challenge at each of the roadshow locations - a great chance for you and the family to come along and be in the chance of winning some amazing prizes! The team will be giving out a prize for the fastest time EVERY day of the roadshow, with an overall prize for the fastest contestant of the week - you won't want to miss out! As always, we love seeing our customers enjoying the outdoors, so be sure to quote the hashtags below throughout Facebook, Twitter, Instagram and YouTube. #ShareTheMoment: Share your favourite experience at the roadshow and your overall love for camping and caravanning with #ShareTheMoment across social media platforms! #VangoTribe: Be sure to #VangoTribe throughout the week with photographs and moments from the roadshow - we can't wait to see families and friends taking part in the Vango AirBeam® Challenge and giveaways! So, pop along for a fun-filled experience to show your love of camping, caravanning, motorhoming and overall the greatness of being outdoors. For more information on the event itself please visit The Camping and Caravanning Club website. National Camping and Caravanning Week round up! We had a fantastic week with the Camping and Caravanning Club celebrating the 17th year of roadshow fun! And with just over 60 AirBeam Challenge participants, 6 being Vango prize winners and one lucky person winning a £500 Vango voucher for the fastest time of the week, we hope you enjoyed joining the #VangoTribe too! The fastest time recorded for the AirBeam Challenge was a whopping 17.39 seconds, with very close contenders being only 1 or 2 seconds away! Thank you to everyone who participated in the competition and congratulations again to the lucky winners of fantastic Vango kit! There was a great turnout at all the event locations shown above, and plenty of consumer surveys filled in throughout the week. On top of filling in our short survey, each entrant will be added to our 2017 lucky dip, meaning everyone has a chance of winning an amazing prize at the end of the year! Check out our awnings at Lowdham last Saturday! The awnings we had on display were the Idris, Kela, Galli, Varkala and Kalari.